On February 22, 1980, the American ice hockey team played the “Miracle on Ice”—it defeated the Soviet Union at the Winter Olympics. All 1980 Olympic skating events, including the "Miracle on Ice," were held in Lake Placid's Herb Brooks Arena. On February 22, 1980, the American ice hockey team played the “Miracle on Ice”—it defeated the Soviet Union at the Winter Olympics in Lake Placid, New York. The hockey game was a complete upset, and put the U.S. in position to win the gold medal against Finland two days later. The Soviet team was so heavily favored that the game was not shown live on American television. 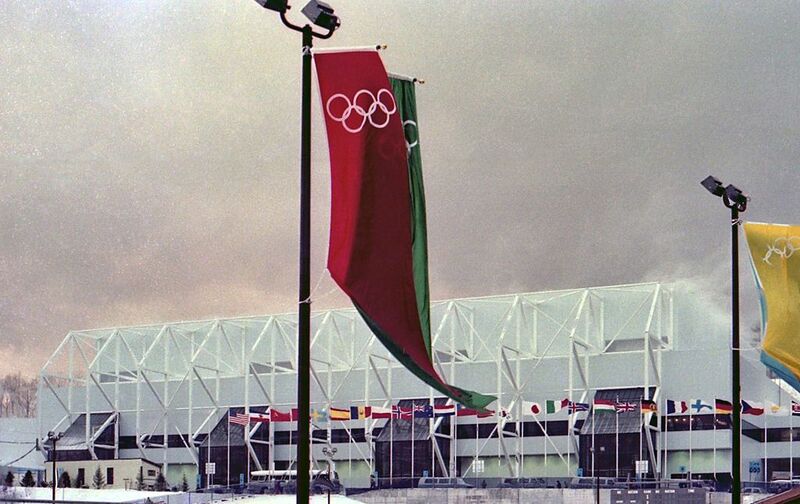 The Soviets had won the gold medal at every Winter Olympic competition since 1964, and lost just three world championships in that time. The “Miracle on Ice” was named the international “story of the century” by the International Ice Hockey Federation in 2008, and Sports Illustrated’s “sports moment of the century” in 1999.
uncomfortable relationship between two people or groups. surprising victory over a strong opponent.